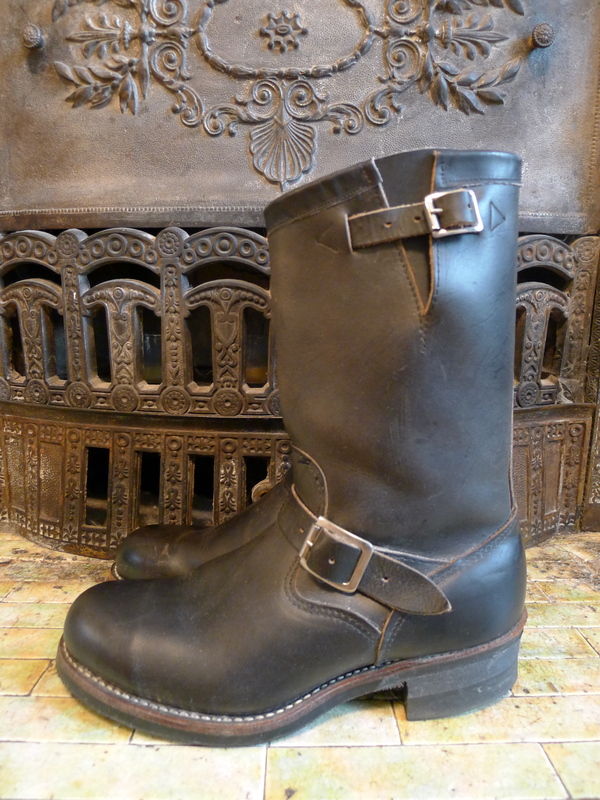 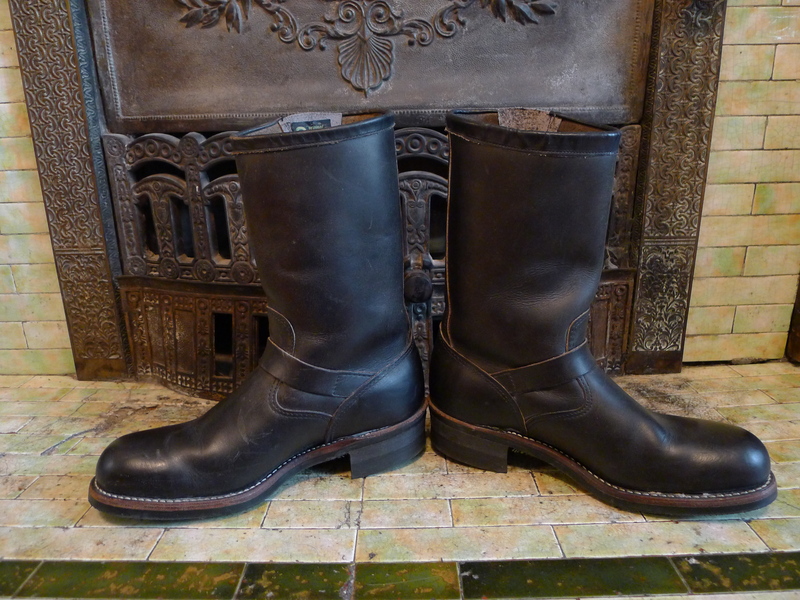 This is a pair of deadstock Chippewa Steel Toe Engineer Boots. 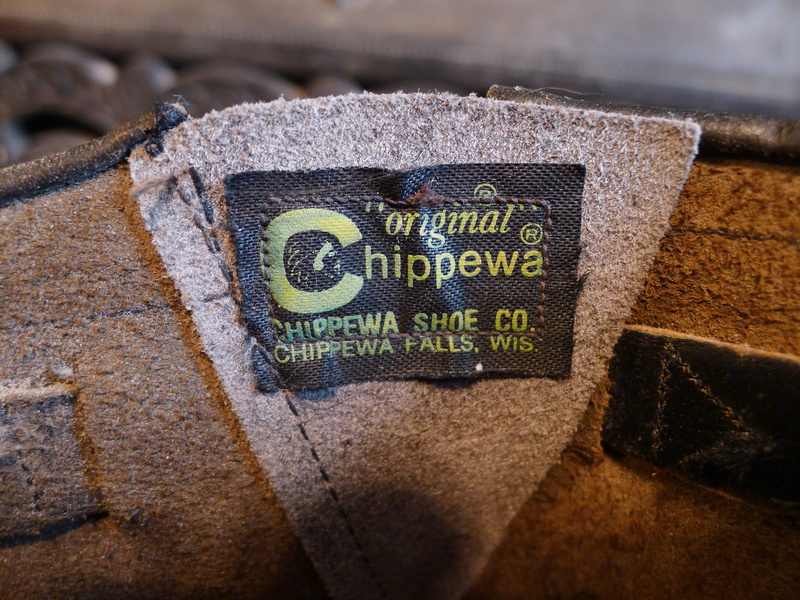 Black Label includes Chippewa Falls Wis. 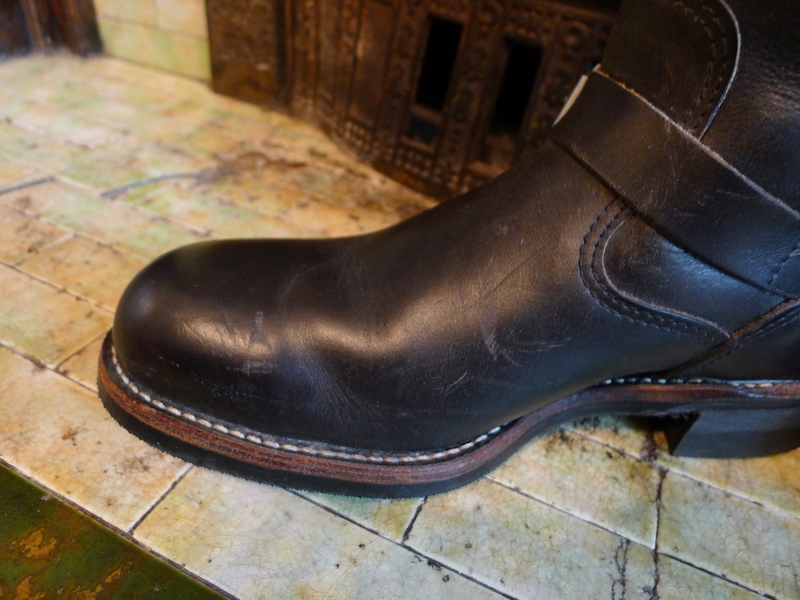 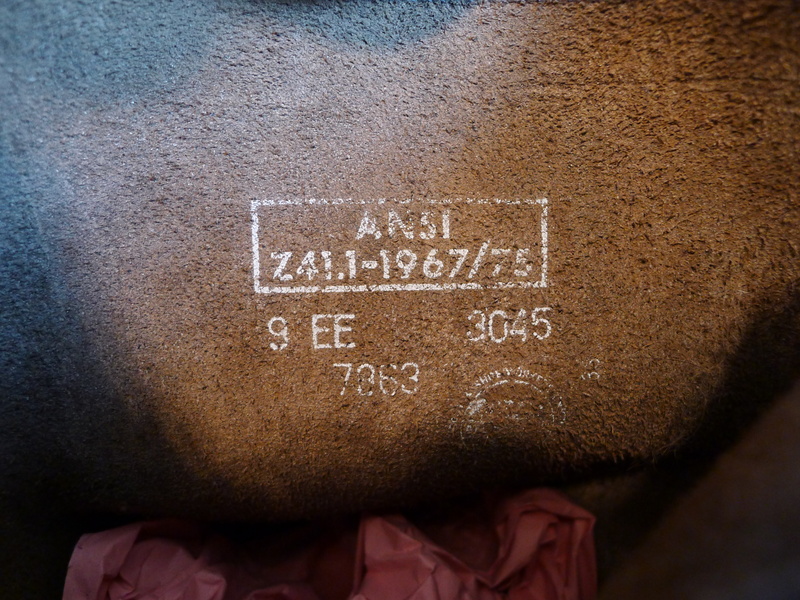 These boots can also be dated by the ANSI ( American National Standards Institute) 1967/75 marking. 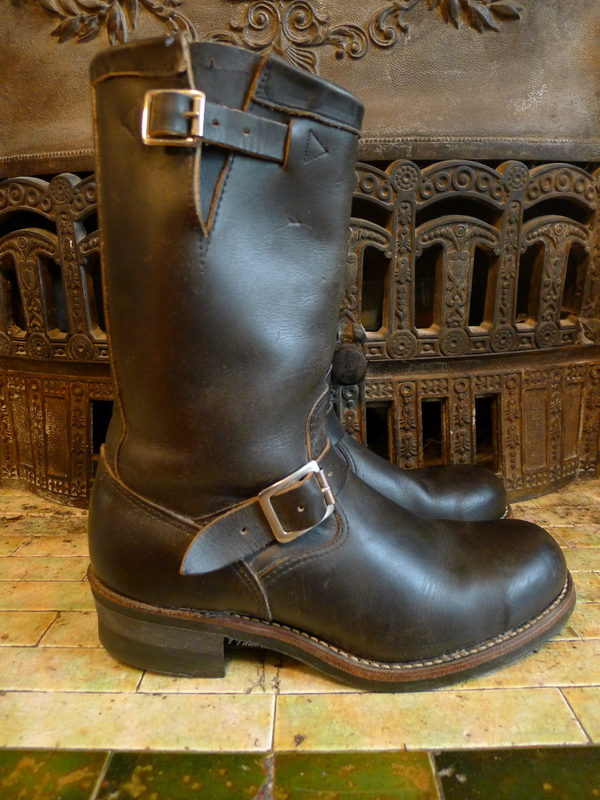 Sturdy split leather uppers with nickel hardware, steel toe, stitched leather mid-sole. 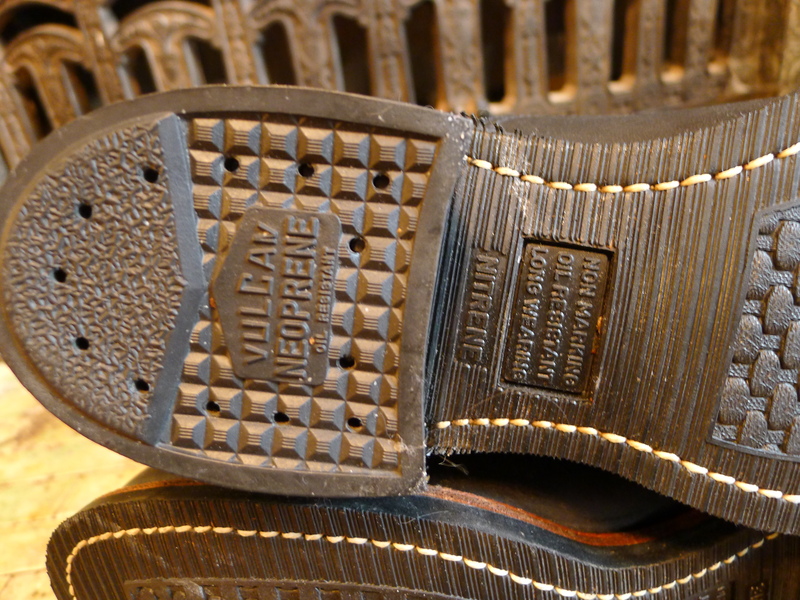 These boots are unworn as evident in the pristine Vulcan Neoprene Heel and Nitrene Sole. 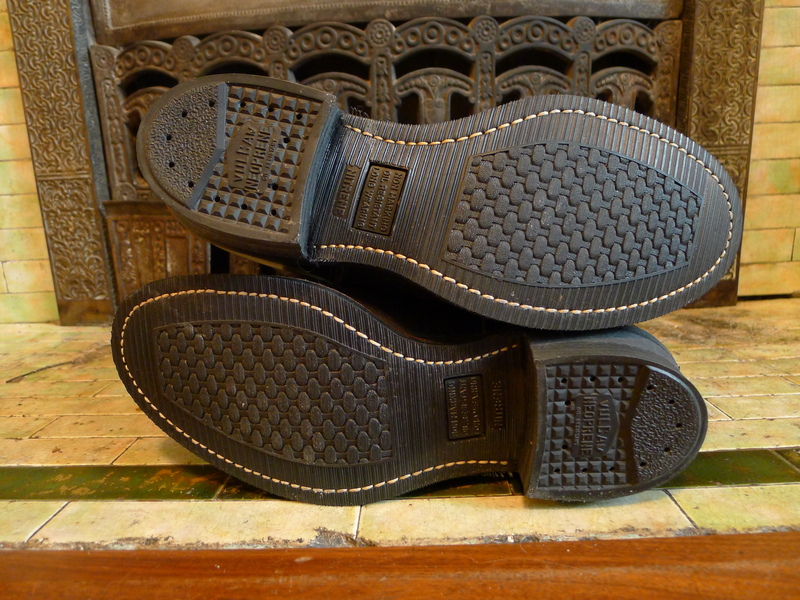 Uppers do have some light scuffing and wear from sitting around for 40 years but are otherwise in great shape. 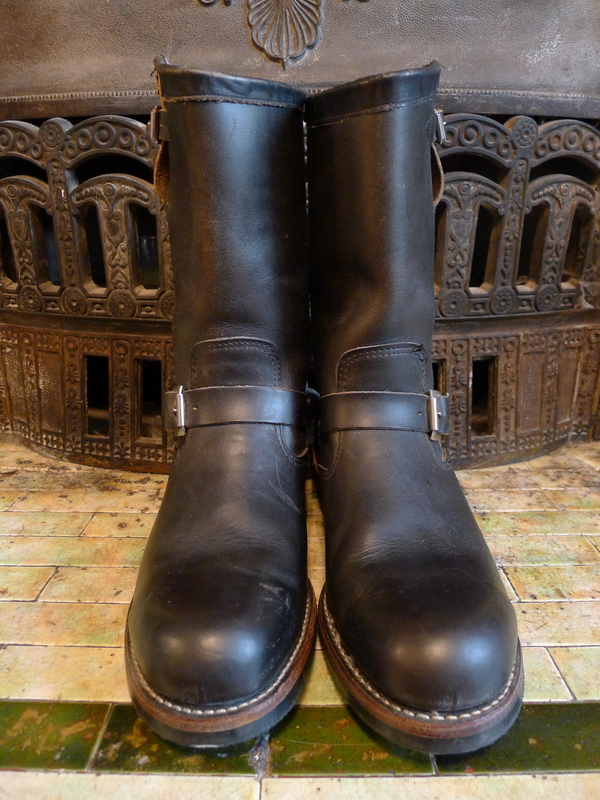 These boots could be polished to a shine if desired. 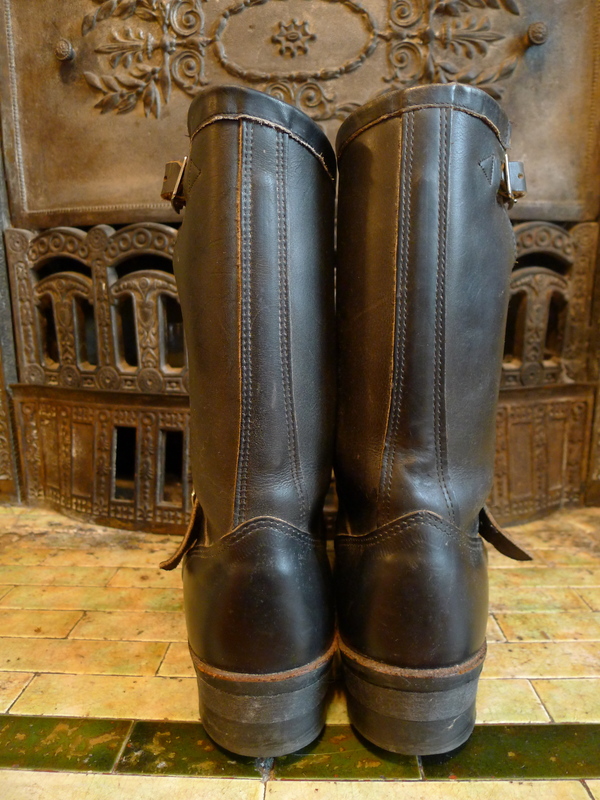 These boots have sold. 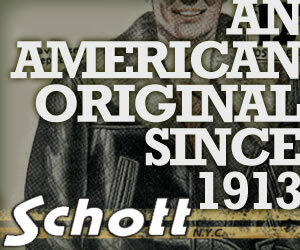 Thank you for your interest and for checking out the blog.